The actress filed for divorce in December 2011 after separating two months earlier. Actress Zooey Deschanel and singer Ben Gibbard, pictured here at the premiere of "(500) Days of Summer," are now officially divorced. A judge has finalized Zooey Deschanel's divorce from her rocker husband of roughly three years. Court records show a judge finalized the actress' divorce from Death Cab for Cutie frontman Ben Gibbard on Wednesday in Los Angeles. 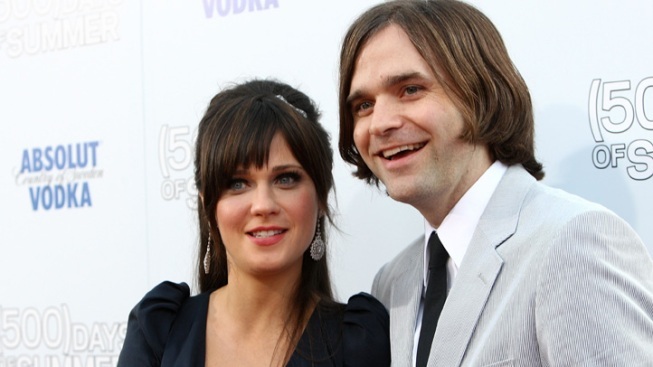 Gibbard and Deschanel, who stars in Fox's "New Girl," were married in September 2009. They had no children together. The judgment does not provide financial details of the breakup, although it states that the former couple's marriage cannot be repaired by counseling or mediation. Deschanel was nominated last week for a Golden Globe for her work on "New Girl."